Subtle changes in the way Qatar projects itself on the international stage symbolized by a recent government reshuffle, economic reform as a result of reduced energy income, and cutbacks at global television network Al Jazeera, could accelerate Qatari compliance with demands for migrant labour reform, and prompt an even greater emphasis on sports. That is if Qatar can shake dogged allegations of wrongdoing in its various bids to host major sporting events. The notion of progress towards labour reform after five years of promises is fuelled by suggestions from western diplomats and some academics that the reshuffle and the streamlining of Qatari Emir Sheikh Tamim bin Hamad Al Thani’s cabinet is a first step towards political liberalization and transition from an absolute to a constitutional monarchy. They argue that Sheikh Tamim, who took office after his father, Sheikh Hamad bin Khalifa Al Thani, stepped down in 2013, has begun with the reshuffle to move the old guard aside and pave the road for change. Alongside the need to cut costs because of reduced energy income, “this is also about Sheikh Tamim's slow consolidation of power after 2-1/2 years in the job. He's still pushing out the old timers loyal to the former emir who were not necessarily that effective but couldn't be sacked all in one go,” a Doha-based western diplomat told Reuters. While members of the old guard were indeed removed, the reshuffle at first glance involves mergers of ministries and signals an emphasis on defense at a time of conflict and growing uncertainty in the Gulf. In the reshuffle, Sheikh Tamim took over the defense portfolio and appointed outgoing foreign minister Khalid Al Attiyah, whose father was the founder of Qatar's armed forces, minister of state for defence. Mr. Al Attiyah replaces Major General Hamad Bin Ali Al-Attiyah, who was appointed defense advisor to Sheikh Tamim with a rank equivalent to that of prime minister. With up to 1,000 troops in Yemen as part of the Saudi-led invasion of that country, Qatar is involved in one of the largest military engagements in its history. The notion of political and economic reform could prove to be a double-edged sword for labour reform, a demand by trade unions and human rights, which Qatar has had to take serious with its winning of the hosting rights for the 2022 World Cup. A greater Qatari say in the affairs of their country could highlight widespread public fear that labour reform could undermine Qatari control of their society and culture in a country in which the citizenry accounts for a mere 12 percent of the population. The economic reforms and cost-cutting that involve the closure of Al Jazeera America, a $2 billion failed investment, the shelving or suspension of up to a quarter of Qatar’s ambitious construction and infrastructure projects, expatriate job cuts, the slashing of ministerial budgets and the possible roll-back of subsidies amount to a rewriting of Qatar’s social contract. That contract involved cradle-to-grave security for Qatari nationals in exchange for the surrender of their political rights. Political liberalization as part of the forging of a new social contract would be the first fallout in terms of political change of tumbling world energy prices that is forcing Gulf states to revisit the concept of a rentier state. While Mr. Al Attiyah as foreign minister was one of the few Qatari officials to engage with the media, his successor, 35-year old Sheikh Mohammed bin Abdulrahman Al Thani is likely to be more sensitive to international demands given his former job as the ministry’s official in charge of international cooperation. Sports will remain a pillar of Qatar’s soft power strategy that is designed to compensate for a lack of sustainable hard power despite the country’s greater military assertiveness. To make what has so far been at best a troubled soft power strategy bordering on failure, Qatar has its work cut out for it. In addition to the Swiss judicial investigation into the propriety of Qatar’s World Cup bid, it needs to reckon with the possibility, if not likelihood that the US investigation of world soccer body FIFA will expand to include Qatar. Qatar’s bids for the 2017 and 2019 World Athletics Championships are moreover under investigation by the International Association of Athletics Federations (IAAF) as a result of allegations of bribery. This month’s announcement of Qatari sponsorship of German club Bayern Muenchen FC has sparked protests from fans and trade unions because of the Gulf state’s kafala or labour sponsorship system that puts employees at the mercy of their employers. Qatar has so far introduced only minimal changes to the system. In its 2016 annual report, Human Rights Watch criticized Qatar for not following through with promises of reform and leaving migrant workers “acutely vulnerable”. In an effort to demonstrate sincerity, Qatar has recently prosecuted companies for the separate deaths of five construction workers. The court convicted the companies on charges of manslaughter and negligence and imposed fines and compensation payments. A key litmus test of the notion that Sheikh Tamim may be contemplating political change will be whether he releases from prison Qataris who opposed government policies, including poet Muhammad al-Ajami, who is serving a 15-year sentence for “criticizing the emir” in a poem that praised the 2011 Arab popular revolts. “We do not want to topple the royal family. But we are calling for a constitutional monarchy where the legislation resides with an elected Parliament, not the emir,” Khalid al Halil, a reform-minded, London-based businessman, recently told The New York Times. President Xi Jinping’s visit to the Middle East, the first by a Chinese leader in seven years, saw the signing of billiions of dollars worth of agreements with Saudi Arabia and Egypt and a ten-fold expansion of trade with Iran over the next ten years. The significance may go far beyond commerce as Chinese interests align more with Iranian interests than those of Saudi Arabia. PRESIDENT XI Jinping went from Riyadh to Iran this month to become the first foreign leader to do so following the lifting of international sanctions against the Islamic republic. Saudi leaders could not have been pleased. To be sure, China and Saudi Arabia (and Egypt) signed US$55 billion worth of cooperation agreements during Xi’s visit, including a nuclear cooperation pact. Yet Xi’s determination to gain a first mover advantage in Iran at a time that Saudi Arabia is seeking to increase rather than reduce the Islamic republic’s international isolation suggests that more than commerce is at play here. Xi’s visit to the kingdom was accompanied by talk of brotherly relations and strategic cooperation. The rhetoric however did little to mask serious differences on issues ranging from Syria to Saudi propagation of Wahhabism, a puritan interpretation of Islam that many fear breeds jihadism, and a relative decline in Chinese reliance on Saudi oil. Chinese officials worry that alleged Saudi funding of Islamic schools or madrasahs in Xinjiang may be encouraging Uighur militants who have staged several attacks in a low intensity campaign for equal rights and autonomy, if not independence. Saudi officials have assured their Chinese counterparts that they do not support the violence despite the fact that the Uighurs, some of whom have joined Islamic State (IS), are Turkic-speaking Sunni Muslims. Those assurances appear to have done little to put Chinese concerns to rest. “Our biggest worry in the Middle East isn’t oil – it’s Saudi Arabia,” a Chinese analyst told the Asia Times. Religious affinity is however not something China has to worry about with Shiite-majority Iran, which has long projected itself as a revolutionary rather than a sectarian power. China supports the Iranian-backed regime of Syrian President Bashar al-Assad and favours Russian intervention in Syria to prop up the Assad regime – a position that puts it at odds with Saudi Arabia that backs the rebels and has hinted at intervening militarily on their behalf. Russian and US airstrikes against Saudi-backed Islamist rebels have allowed Syrian and Kurdish forces to gain increasing control of much of Syria’s borders, making it more difficult for Uighurs to find their way to Syria. Several hundred Uighurs are believed to have joined IS, which recently released its first Chinese-language recruitment video. This adds to China’s concerns about Xinjiang. In anticipation of the lifting of the sanctions, China has furthermore stepped up naval cooperation with Iran. A visit to Iran last October by Chinese Admiral Sun Jianguo, who is widely seen as the People’s Liberation Army Navy’s (PLAN) next naval commander, produced a draft memorandum of understanding for closer cooperation in counterterrorism, cyberwarfare, and intelligence sharing. Sun’s visit followed joint Chinese-Iranian search-and-rescue naval exercises and training exercises in 2014 in the Gulf. The exercises, involving two Chinese warships were held close to the base of the US Fifth Fleet in Bahrain at a time of tension between the United States and Iran over the Islamic republic’s nuclear programme. The visit built on a long-standing security and military relationship that China was forced to temporarily curtail as a result of the sanctions. Nonetheless, China sold Iran anti-riot gear and tracking technology in 2009 which were used to counter anti-government protests against the allegedly fraudulent election of President Mahmoud Ahmadinejad. The protests coincided with riots in Xinjiang. Chinese-Iranian military relations date back to the Iran-Iraq war in the 1980s when China was the Islamic republic’s main military hardware supplier. Those supplies caused tension with the United States when in 1987 Iran fired Chinese-made Silkworm missiles at Kuwaiti vessels in the Gulf. Forced to halt the supply of sophisticated weaponry, China helped Iran kick start the development of an indigenous military-industrial sector evident in the design and technology of Iranian-made missiles. Similarly with regard to Chinese oil purchasing, Iran is determined to win back Chinese market share with the lifting of the sanctions. Iran expects to boost oil exports by 500,000 barrels a day, much of which it hopes will go to China. Iran’s oil plans put it in direct competition with Saudi Arabia, which had long been one of China’s largest suppliers. That picture has however begun to change with China apparently shifting its reliance on oil away from Saudi Arabia. Chinese oil imports from the kingdom rose a mere two percent last year while its purchase of Russian oil jumped almost 30 percent. The shift is likely to create an opening for Iran at Saudi Arabia’s expense. The shift could not come at a worse moment with Saudi Arabia being forced to tighten its belt as a result of low commodity prices and high expenditure on wars in Yemen and Syria and the propping up of autocratic regimes like that of Egyptian President Abdel Fattah al-Sisi. All in all, President Xi returned to Beijing from his trip to the Middle East maintaining his emphasis on non-interference and harmony, with commerce, trade and infrastructure investment as part of his One Road, One Belt initiative. Reading the tea leaves however tells a different story. China has increasingly significant interests in the Middle East that impact not only its energy security but also its efforts to pacify Xinjiang and patch together a Eurasian land mass that is linked through infrastructure. Iran’s geography bordering on the Caucasus, Central Asia, Turkey, and the Middle East makes it a far more important link than Saudi Arabia in China’s Silk Road plans. As a result, Chinese interests are gradually forcing it to realign its policies and relationships in the region. To do so, China will ultimately realise that it no longer can remain aloof and will have to become a player in the Middle East and North Africa. China is deepening economic engagements with Iran just a week after international sanctions were lifted against the country but the closer ties risk infuriating Saudi Arabia, the mainland's largest oil supplier in the Middle East, analysts say. Chinese President Xi Jinping, the first international leader to head to Iran after the trade restrictions were removed, capped his visit to Tehran with 17 agreements for cooperation in areas including energy, trade, and industry, reported Iran's Islamic Republic News Agency. During Xi's visit, the two countries also agreed to increase bilateral trade more than 10-fold to $600 billion in the next decade as China pursues its One Belt One Road project, an ambitious network of road, rail and port routes that will connect China to Central Asia, South Asia, the Middle East, and Europe. With Iran at the end of the Asian road before it heads into Turkey andEurope, China is likely targeting to build numerous infrastructure facilities in Iran, said Jean-Francois Seznec, a non-resident senior fellow at the Atlantic Council. But the warmer ties will irritate oil giant Saudi Arabia whose already fraught relationship with Iran has worsened after Saudi Arabiaexecuted a well-known Shiite cleric earlier this month. Xi visited Riyadh and Egypt before heading to Tehran. "China loves Saudi Arabia as far as the oil is concerned because they love (state-owned oil producing company) Saudi Aramaco as a very reliable supplier, but otherwise from a political standpoint, Iran is going to be the favorite child of China in that region," added Seznec. With Iran not a U.S. ally, China will secure energy security with the country as the Asian country is dependent upon the Middle East for its oil imports. "It's the only country in the region that is not allied with the United States for the most parts," said Michael Singh, managing director of think tank The Washington Institute for Near East Policy. James Dorsey, a senior fellow at S. Rajaratnam School of International Studies noted that Iran is also majority Shia rather than Sunni-dominated, as is the case with Saudi Arabia and China's troubled Xinjiang region in the northwest, home to the Muslim Uighur ethnic group. Chinese authorities have blamed separatist Uighurs for terrorist attacks that have killed hundreds of people in recent years. As for Iran, various factions in the country are likely to be more united in accepting China over the U.S. or Europe as a partner, said Seznec. Iran's Supreme Leader Ayatollah Ali Khamenei met with Xi on Saturday where he expressed the country's distrust of the United States and Europe. "The government and nation of Iran have always been and [still] are looking for the expansion of relations with independent and reliable countries like China and on this basis, the agreement between the presidents of Iran and China for [promotion of] 25-year strategic relations is totally correct and endowed with wisdom," Ali Khamenei 's website quoted him saying. "The Western [governments] have never been able to win the Iranian nation's trust." TEHRAN, IRAN - JANUARY 23: Chinese President Xi Jinping (C) meets with Supreme Leader of Iran Sayyed Ali Khamenei (R) in Tehran, Iran on January 23, 2016. China is already Iran's largest trade partner with bilateral trade surpassing US$50 billion in 2014 – up 31.5 per cent from the year before. While China traditionally maintained a stance on non-interference in domestic politics, harmony and economic corporation, this would likely change in the future as the Middle East regards China as a superpower and expects the country "to step up to the plate", said Dorsey. "China has huge interest in the Middle East. It has huge investments; it has large number of Chinese nationals here and it will have to protect them," he added. Pressure is building on Asian Football Confederation president and world soccer body FIFA presidential candidate Sheikh Salman bin Ebrahim Al Khalifa to respond with chapter and verse to allegations that he played a role in the detention and abuse of athletes during the 2011 popular uprising in his native Bahrain. The revolt was brutally squashed with the help of Saudi troops. The pressure has already in recent months prompted Mr. Salman, who refused to discuss the issue for the 4.5 years since the events allegedly occurred, to deny that athletes were abused at the time and reject allegations that he was involved. His denials have left key questions unanswered and moved a prominent German politician, human rights activists, and Mark Pieth, the academic employed by FIFA at one point to oversee its reform efforts, to publicly oppose Mr. Salman’s standing for office. Mr. Salman has put forward proposals for a reform of FIFA, the scandal-ridden world soccer body, that go some way towards the core of the group’s deep-seated corruption problems. Mr. Salman’s proposals include a separation of FIFA’s governance role from the group’s significant business interests that include billions of dollars in revenues from sponsorship and World Cup broadcasting rights. Despite the merit of his proposals, Mr. Salman has also demonstrated that he is the product of an autocratic system and the scion of an entitled ruling family by employing lawyers to handle criticism and probing questions in the media in a bid to straight out of the blocks intimidate journalists rather than engage them and resort to legal steps only as a last resort. In doing so, Mr. Salman follows in the footsteps of his relative and former sports superior, Prince Nasser bin Hamad al-Khalifa, a son of King Hamad bin Isa Al Khalifa, commander of the Royal Guard and head of the Bahrain Olympic Committee and the government’s Supreme Council for Youth and Sports. Mr. Salman employs the same lawyers as Prince Nasser, London-based Schillings whose motto is ‘Defending Reputation, Demanding Privacy.’ Schillings in 2014 unsuccessfully attempted to fundamentally alter in line with the Bahrain government’s version of events this writer’s reporting on the lifting of Prince Nasser’s immunity by an English court. The court lifted Prince Nasser’s immunity in a case initiated by several Bahrainis who alleged that they were tortured in the aftermath of the 2011 popular uprising. In 2011, the Bahrain News Agency (BNA) reported that Prince Nasser had issued a decree ordering that measures be taken against those guilty of insulting Bahrain and its leadership. 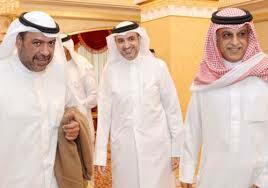 Prince Nasser formed the committee after an earlier royal decree had declared a state of emergency in Bahrain. The royal decree allowed the Bahrain military to crackdown on the protests and establish military courts. Mr. Salman reportedly was at the time general secretary of the supreme sports and youth council. A series of BNA stories further reported on the implementation of Prince Nasser’s decree and the launch of a committee to investigate “breaches by individuals associated with the sports movement during the recent unfortunate events in the Kingdom of Bahrain.” BNA reported that the committee met on 10 April 2011 under Mr. Salman’s chairmanship. BNA is the official organ of the government in a country that Reporters Without Borders ranks number 163 out of 180 countries; the media are tightly controlled through repressive articles in its penal code; journalists, activists, photographers and social media users are targeted; and in which writers exercise self-censorship including avoiding statements of fact like the fact that Shiites constitute the majority in Bahrain. 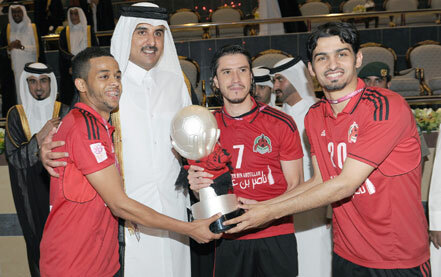 In total, an estimated 150 athletes and sports executives were arrested on the basis of Prince Nasser’s decree. Several alleged immediately after their release that they were tortured during their detention, among them two members of Bahrain’s national soccer team. The players remained silent for the 4.5 years since they first alleged having been abused. Recently, however, they denied the allegations in media appearances organized by Mr. Salman’s election campaign. In his refusal in the last five years to discuss the allegations, Mr. Salman insisted that sports and politics was separate, a statement contradicted by BNA’s reporting and the fact that Bahrain’s ruling family keeps a tight rein on the country’s sports. Since launching his presidential campaign, Mr. Salman has denied in interviews the establishment of the investigation committee and the assertion that he headed it but has yet to directly address the consistent BNA reporting. At no time, did Mr. Salman suggest that he objected to the penalizing of athletes and executives or that he would not have accepted to chair the committee if it had been established. Mr. Salman’s position has sparked opposition to his FIFA presidential candidacy. Speaking to Germany’s Frankfurter Algemeine Zeitung, Mr. Pieth who headed an independent governance committee for FIFA that issued its recommendations in 2013, called for strong opposition to Mr. Salman’s candidacy. “The outcry has to come from the 209 (national) associations” that elect the FIFA president, Mr. Pieth said. “You have to ask: Is Salman a credible representative for democracy and a new start? Is he suitable? A representative of an autocratic ruling family is not suitable to lead this institution out of the crisis,” he added. A member of Kuwait’s ruling family as well as of the International Olympic Committee and FIFA’s executive committee Mr. Al-Sabah is locked into a power struggle within his own ruling family. He is appealing a six-month prison sentence for allegedly violating a gag order and faces a civil suit for damages based on allegations that he and his brother, the head of the Kuwaiti Football Association, were responsible for Kuwait’s recent suspension by the IOC, FIFA and a host of other international sports associations. Mr. Salman’s foremost rival among the six presidential candidate, Jordan’s Prince Ali Bin Al-Hussein, appeared to be hinting at the patronage mechanism when he this month registered his concern with the FIFA electoral committee about a cooperation agreement with the Confederation of African Football (CAF) that the Bahraini signed last week on behalf of the AFC. The agreement or at least its timing was widely seen as an attempt to secure Africa’s votes for Mr. Salman. “I have always promoted cross-regional understanding, however the timing of this MOU between the AFC and the CAF looks like a blatant attempt to engineer a bloc vote,” Prince Ali said. In a separate statement, Claudia Roth, deputy chair of the Bundestag, the German parliament and head of the Green Party, said Mr. Salman’s election would be “a mockery of the victims of the human rights abuses in Bahrain… An attempt at democratization, an opening with the recognition of equal rights for a large percentage of the population was suppressed with brutal violence in 2011. To that end tanks were dispatched to Bahrain from Saudi Arabia. Many were killed and wounded. Among others, athletes were arrested; there are clear indications of torture that also include soccer players,” Ms. Roth said. President Xi Jinping kicks off his first official visit to the Middle East today with a packed agenda, as China steps up its engagement with the region at a time of heightened instability. Over five days in Saudi Arabia, Egypt and Iran, he will look to score economic deals, encourage regional peace and push counter-terrorism cooperation, analysts told The Straits Times. "These are perhaps the most important countries in the region in terms of their security, economic, demographic, religious and diplomatic influence," said political analyst Richard Weitz from the Hudson Institute. The region, which marks 60 years of diplomatic ties with China this year, is also an important part of China's "One Belt, One Road" initiative, being one of the main locations where continental transit routes and maritime routes converge, noted Dr Andrew Small from the German Marshall Fund's Asia programme. But Mr Xi arrives as tensions are flaring between Saudi Arabia and Iran. He is visiting both countries to prevent any suggestion of taking sides, even as war in Syria continues to destabilise the region. Such concerns scuppered previous arrangements for trips, after one was planned last year. With recent developments, however, China can no longer wait. Iran is the next big market in the Middle East, and China is keen to get in on the ground floor. MIDDLE EAST EXPERT JAMES DORSEY , from the S. Rajaratnam School of International Studies, on how China wants to capitalise on Iran's imminent opening. For one thing, China is closely watching the future direction of Iran's economic and political relationships, as a result of a landmark nuclear deal and its warming up to the West. Mr Xi will see it as imperative that China be one of the first to take advantage of Iran's imminent opening, after the United States and Europe lifted economic sanctions over the weekend. "Iran is the next big market in the Middle East, and China is keen to get in on the ground floor," said Middle East expert James Dorsey from the S. Rajaratnam School of International Studies. In a report published yesterday, Iran's Ambassador to China Ali Asghar Khaji told 21st Century Business Herald that the two countries are planning to sign deals on finance, high-speed rail, a free trade zone and energy. Mr Xi is also likely to encourage Saudi Arabia and Iran to help facilitate a political settlement in war- torn Syria. Last month, China offered to host talks between the Syrian government and opposition groups, in an attempt to broker peace. The Syrian conflict and resulting turmoil have been a major concern for China, which is the world's top oil importer and draws more than half of its crude supply from the Middle East. China also has significant investments in the region. At the same time, its leaders are worried about Uighur militants from China's western Xinjiang region joining the Islamic State in Iraq and Syria, and the effect this could have on domestic security. Beijing has recently appeared to step up its counter-terrorism efforts in Xinjiang, which remains plagued by reports of unrest. In its first Arab Policy Paper - released last Wednesday ahead of Mr Xi's visit - China said it supported Arab states and was willing to join them in addressing the threat of regional and international terrorism. It added it is ready to work with the region's countries to establish a long-term security cooperation mechanism, strengthen policy dialogue and promote intelligence information exchange. "Beijing is looking to work more closely with the countries that have influence over the situation on the ground," noted Dr Small. Mr Xi's visit has also led to speculation that China can act as a mediator between the feuding Saudis and Iranians. Relations between the two sides turned acrimonious recently, after protesters ransacked and set fire to the Saudi Embassy in Teheran, following Riyadh's execution of a prominent Shi'ite cleric. But observers say that China is unlikely to do so given the political sensitivities, and the fact that neither side has officially solicited its help. "There's no mediation possible at this point," said Mr Dorsey. "In any case, I don't see what leverage Mr Xi can bring to the table."